Kambo is “one of the strongest natural antibiotics and anesthetics found in the world and one of the strongest, natural ways to empower our immune system.” ¹Kambo is the name given to the traditional Shamanic frog poison cleanse that is used to strengthen and heal mind, body and spirit. The scientific name for this frog is Phyllomedusa bicolor or “Giant Monkey Frog”. This frog lives in the Northwestern part of the Amazon Rain forest, namely Colombia and on the border between Brazil and Peru and is used by indigenous tribes there to gain strength, immunity and hunting magic. This cute frog secretes a poisonous waxy poison from its skin, the potency of which repels all predators. The poison from the Giant Monkey Frog is applied to the skin after small burns are made with the tip of a glowing stick. Once applied, Kambo stimulates a strong physical purge while toxins and ‘bad luck’ or ‘panema’ are eliminated from body and spirit. As well as this energetic clearing effect, Kambo has potent physical benefits as well. Kambo is traditionally used to gain strength, maintain or regain health, and to provide immunity. The poison is applied often times before hunting parties depart in order to increase strength, improve vision and lend the hunters a ‘magical’ ability to locate prey. Kambo is also traditionally used to cleanse the body of just about any illness including Rainforest specials like malaria and spider bite. Deltorphin — a very potent delta-opioid receptor agonist. (Dermorphin and Deltorphin are 4000 times stronger than morphine and 40 times stronger than endogenic b-endorphines. (1). Cleansing Kambo has a detoxifying effect on the internal organs, including the liver (usually one vomits up bile) and the intestines (through evacuations) as well as the entire digestive system. The Katakana natives also use Kambo as the antidote for snake bite, as a medicine for many illness, and as an overall health tonic. There are many accounts of people using kambo and bouncing back from fatigue, expression, addiction, bad luck, sicknesses, and age related symptoms. Outside of the forest, Kambo has been the subject of nearly three decades of medical research. As with venoms from snakes and scorpions, researchers believe that Kambo will open up a new world of treatments for Chronic Fatigue Syndrome, Chronic Pain, Cancer, HIV, Parkinson’s Disease, Alzheimer’s, Depression, Vascular problems, Hepatitis, Diabetes, Rheumatism, Arthritis, Addictions and much, much more. Their work consists of attempting to identify, isolate and reproduce the incredible and unique chemical cocktail that Kambo is. It contains dozens of Peptides (short chains of amino acids), some of them bioactive which means they have an affinity and selectivity for binding with receptor sites in humans (A receptor is like a lock that, when opened with the right key—the bioactive peptide—triggers specific chemical reactions in the body). The peptide families represented in Kambo include bradykinins (phyllokinin), tachykinins (phyllomedusin), caerulein, sauvagine, tryptophyllins, dermorphins, deltorphins and bombesins. Recent studies have shown that Kambo contains multiple antimicrobial peptides effective against drug resistant strains of bacteria, fungi, protozoa, parasites and virus, providing opportunities for the development of new and more efficient nanotechnological-based therapies for treating infectious diseases. Several years of ongoing research by the University of Paris have shown Kambo to be super effective at killing cancer cells and Queens University in Belfast recently won a prestigious award for their ground breaking work with cancer and frog secretions. Kambo is one of the strongest natural anti-inflammatory, antibiotic, antimicrobial and anaesthetic substances found in the world and one of the strongest, natural ways to strengthen the immune system. It also detoxes the liver and the intestines so it’s a powerful cleanser. Immediate and short term effects include enhanced mood, alertness, clarity, focus, energy and increased resistance to stress, tiredness, hunger and thirst. The mind becomes still, you feel lighter and everything becomes easier to manage. In the longer term, Kambo empowers the immune system, rousing the body’s defence systems to their natural functions so that existing health problems are improved or resolved and future ones are less likely to occur. In spiritual terms, Kambo works in a mystical fashion as a light that opens the way, helping us to overcome obstacles and release blockages on an emotional level. It clears our energy field and realigns the chakras enabling us to break negative habits and live and think more naturally. 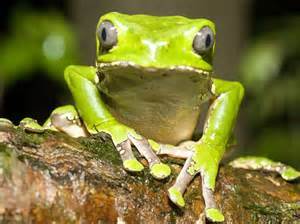 Despite the billions of pounds/euros and dollars being poured into researching and developing mainstream synthetic medication from Phyllomedusa Bicolour frog secretions, no one has yet managed to reproduce the original! Kambo in its original, natural form is a holistic treatment that works on the mind, body, energy and spirit at all levels in ways that we don’t completely understand yet. The native peoples of the Amazon are quite right to use the word ‘magic’ when describing this substance. What does a Kambo Treatment cost? Charges for treatment are not regulated by the IAKP. Each practitioner is free to decide what to charge based on their experience, expertise and prevailing conditions of the country they are working in, however excessive charging is discouraged to allow maximum access to this medicine. This means that you will find large variations in treatment costs around the world. Obviously treatments will be cheaper in those countries where Kambo is freely available and more expensive in those where it is not. Costs may also vary if you take Kambo in a retreat centre or from a practitioner who is travelling and working in a country where there is no other available properly trained practitioner. Be aware that there may be a difference between what an untrained person will charge and what a trained practitioner will charge. Someone who is offering Kambo for free, to experiment on you or for donations may not have any training or confidence in their skills. You may also find the opposite though so ask questions before you decide to go ahead. Kambo is 100% safe in the right hands. It’s true that there have been accidents in the past and that people have died but the number is very small and the circumstances of these deaths have shown that Kambo should not have been given to them because of their pre-existing health conditions. This applies to all medicines, natural or pharmaceutical, there are always contraindications. Not only is it important for the person giving Kambo to understand these contraindications but it is also important for people taking Kambo to disclose all there health issues to the practitioner. In this way, we can ensure that no more mistakes happen. Kambo is not for everyone. Also be aware that if you are travelling in South America and seek out a remote tribe to take Kambo with, that they may not have full knowledge of western health conditions so be very careful in these situations. What happens during a Kambo treatment? Kambo is intense but fast. The unpleasant effects are strong and immediate but over within 30 - 40 minutes. The dried Kambo is mixed with a small amount of water and divided into small dots. Then small points called gates are placed into the surface of the skin. The points are approximately 1/8” across but can be smaller or slightly larger depending on the treatment. The top thin layer of skin is blistered with a hot stick and the skin is peeled off to expose the epidermis underneath – this is similar to when you have a blister and the skin rubs off. There is no blood. The number and position of the points varies from person to person depending on individual needs. If you have a series of treatments in the same session, the same points are reused. The small dots of Kambo are applied to the points. This is the only way to take Kambo – it is not safe to ingest it, snort it or to introduce it into the blood stream directly. The Kambo enters directly into the Lymphatic System so the effect is very fast. Most people experience a warm to hot flush on the upper body and face along with increased heart rate. At this point, different people will react in different ways. Some will feel dizzy, foggy or spaced out; the occasional person will shake or even faint. Some people have swollen lips or face and slight skin tingling. The Kambo will be racing around your body, scanning it for problems and then going directly to work on those areas. You may experience a throbbing or burning sensation in those areas for a short while. Some people may feel some abdominal discomfort and need to defecate. Once the Kambo has cleaned the body you will purge all the toxins out. This purging process works on a physical and emotional level. You may feel tired at this point and need to rest. Within a short time – usually an hour or so you will feel much better and you can drink and eat normally. Within a day or so, depending on your state of health, you will start to feel the real benefits. Kambo is not psychoactive even when taken regularly. There are some old reports of Indians experiencing hallucinations with Kambo but this is probably when it is taken in extremely large quantities e.g. 10 times in a night and used in conjunction with an hallucinogenic snuff. Kambo can produce a very short altered state of reality in some people and many people receive insights and messages about living a healthier life during these few minutes. The burn marks will heal and fade with time but depending on your skin colour and type you may always have small visible scars. Most people see their Kambo scars as a badge of honour. The same points can be reused after 2- 3 months. After the dots of Kambo are removed, the points are dressed with a natural tree sap. This helps them to heal faster and ensures they stay free from infection until they scab naturally.